MOSCOW, May 21. /TASS/. Project 955B Borei-B strategic nuclear-powered submarines have stayed outside Russia’s state armament program for 2018-2027 and after 2023 Russia will build six more Project 955A Borei-A subs, a source in the domestic defense sector told TASS on Monday. As was reported earlier, work on the conceptual design of the improved Project 955B submarines with the new water jet propulsion system and onboard equipment was expected to begin from 2018. Their development was included in the draft state armaments program and a series of four such submarines was planned to be built. "After the analysis of proposals on building Borei-B nuclear-powered submarines, a decision was made to give them up as the project of building these subs does not meet the ‘cost/efficiency’ criterion. Instead, the final version of the state armament program through 2027 incudes Borei-A submarines," the source said. "The construction of the new series of Project 955A submarines will begin at the Sevmash Shipyard after 2023," the source pointed out. "Overall, there are plans to build six Borei-A subs, which will be operational in the Northern and Pacific Fleets. With the completion of this series, the Navy will operate 14 new strategic nuclear-powered submarines: 11 Borei-A-and three Borei-class subs," the source said. Project 955 and Project 955A submarines were developed by the Rubin Central Design Bureau for Marine Engineering. 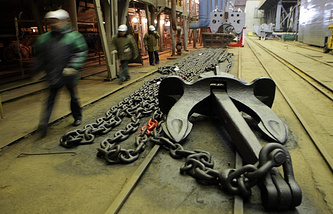 The Sevmash Shipyard in Severodvinsk in northwest Russia continues building the first series of eight Borei submarines. Three Project 955 submarines have already entered service with the Russian Navy: the lead submarine Yuri Dolgoruky and the serial-produced subs Alexander Nevsky and Vladimir Monomakh. The other five submarines have been laid down and are being built under the improved 955A Borei-A Project: the Prince Vladimir, the Prince Oleg, the Generalissimus Suvorov, the Emperor Alexander III and the Prince Pozharsky. Two Borei-A submarines, the Prince Vladimir and the Prince Oleg, will be delivered to the Russian Navy in 2019. The last of the eight submarines, the Prince Pozharsky, is due to join the Navy in 2021-2023, according to various data sources. The distinctions of the 955 and 955A Projects are not known but as Rubin Head Igor Vilnit noted earlier, "a whole series of vessels with the gradual improvement of their characteristics will be built." According to open sources, Borei-A submarines feature an upgraded hull, new electronics and better stealth technology compared to their predecessors. Project 955 and Project 955A underwater cruisers are referred to the fourth generation of nuclear-powered submarines and are part of Russia’s nuclear triad. 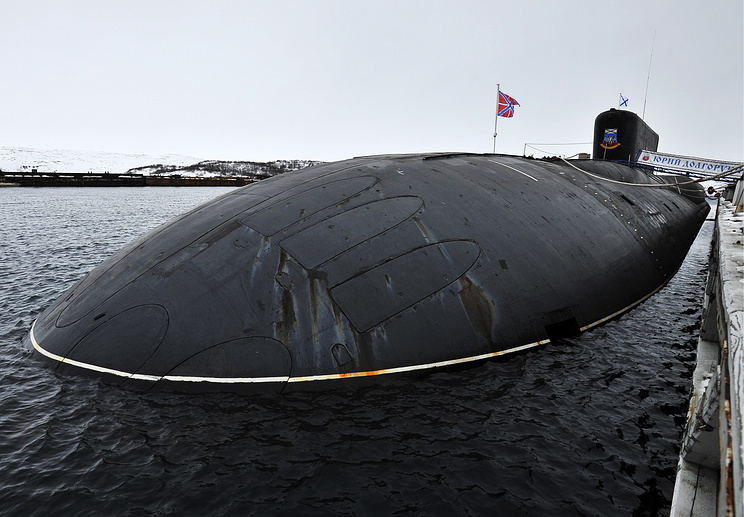 Borei submarines are armed with Bulava solid-propellant intercontinental ballistic missiles. Each submarine is capable of carrying up to 16 such ICBMs. The submarines will replace third-generation 667BDR strategic missile-carrying submarines in the Pacific Fleet and 667BDRM subs in the Northern Fleet.